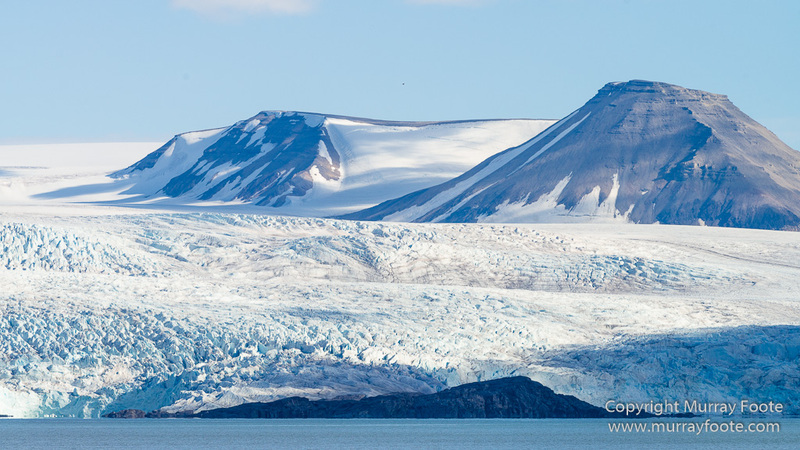 Longyearbyen and Pyramiden, Spitsbergen. Day 36 and 37. 3rd and 4th August 2013. 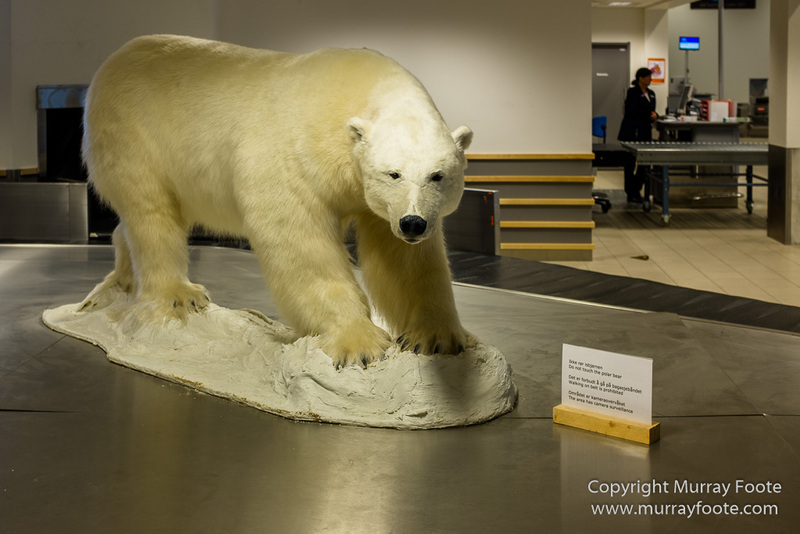 This is the welcoming committee at Longyearbyen Airport. It is quite apt because this is polar bear country. 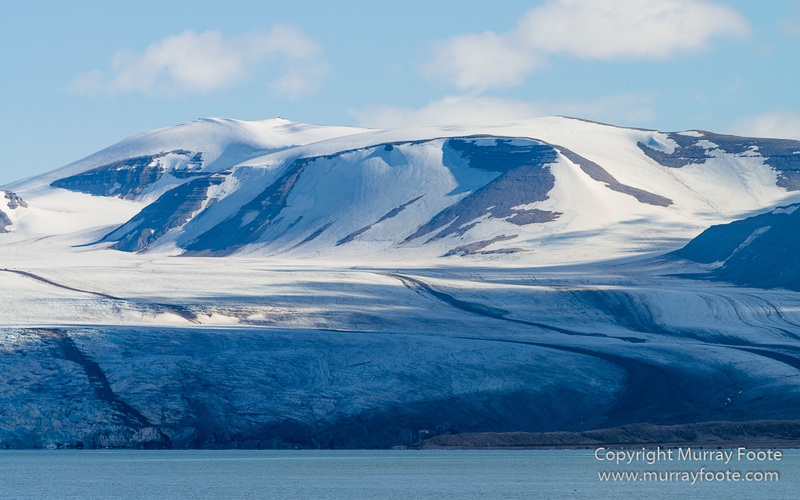 Longyearbyen is small but if you walk out of town you must have someone with you with a rifle. A couple of years ago two young women ignored these warnings and decided to climb up a hill near town. A polar bear appeared and attacked one of them. The other ran away so the polar bear chased her and killed her. The other young woman escaped, no doubt somewhat the worse for wear in more ways than one. 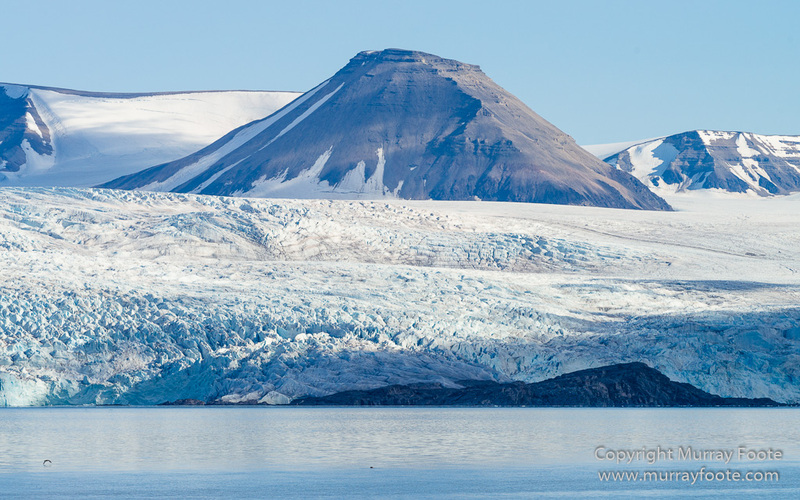 Spitsbergen or Svalbard was sighted by Willem Barentsz in 1596 but may have been earlier discovered by Vikings or Russian Pomors. 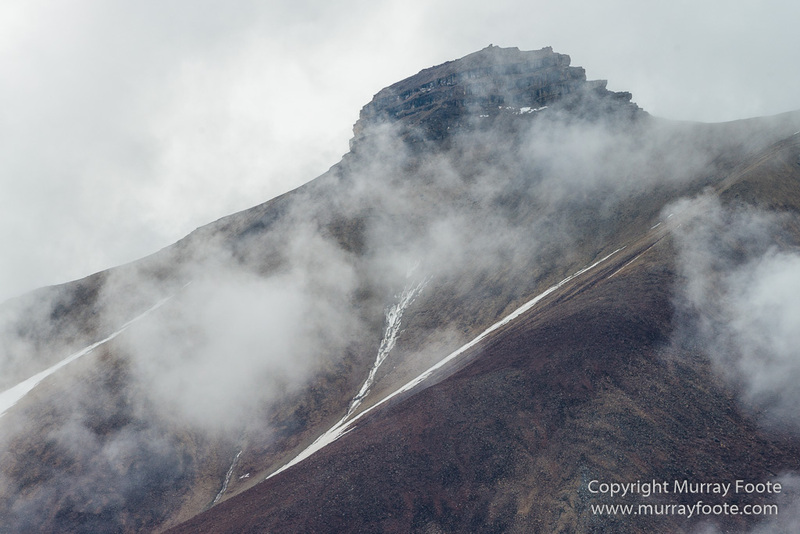 Longyearbyen, the largest town and administrative centre, was founded in 1906 by John Longyear, an American, for coal mining operations. By the 1920s there were various coal mining operations by Norway, Sweden and the Soviet Union. A treaty in 1925 permitted mining and scientific activities by various nations but Norway was to administer the archipelago. By the 1930s, only the Norwegians and Soviets ran coal mines. 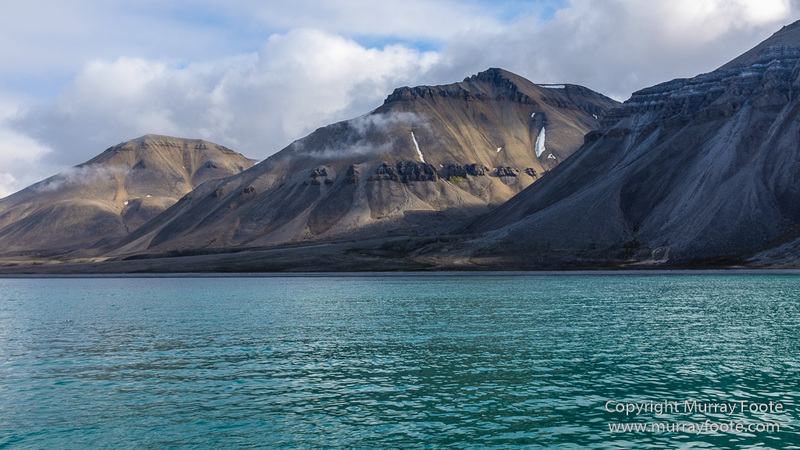 Spitsbergen is so far north, well above the Arctic Circle, nearly a thousand kilometres north of Tromso, that when I was there in early August, the sun never set. 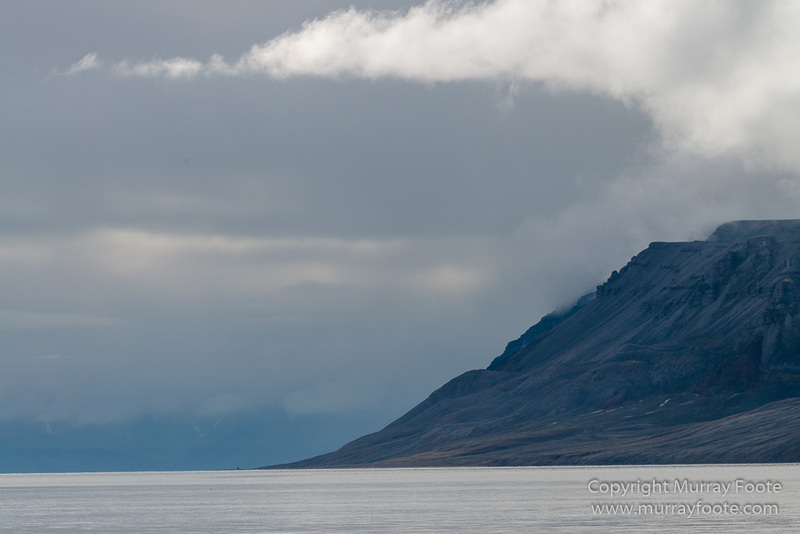 I had a full day in Longyearbyen partly as insurance against travel glitches because you don’t want to be a day late for a sea cruise. 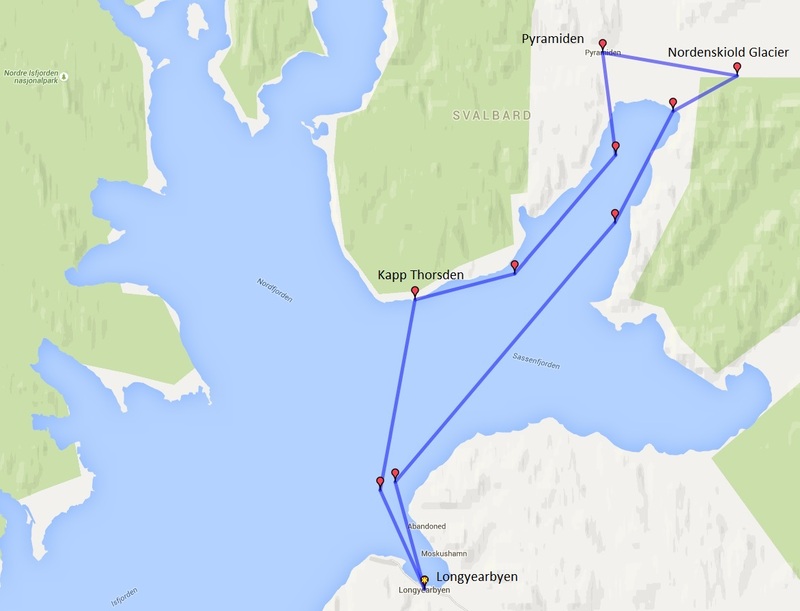 So I decided to sign up for a one-day cruise to the abandoned Russian mining town of Pyramiden. 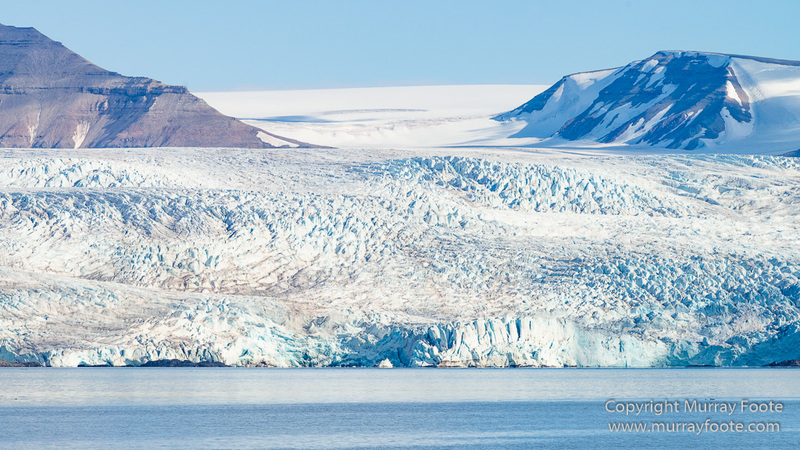 First destination though, was to view Nordenskiöld Glacier on the other side of the fjord. The map makes it look as though we were sailing on land but I can assure you that this was not the case. It may however, be the extent of solid winter ice. 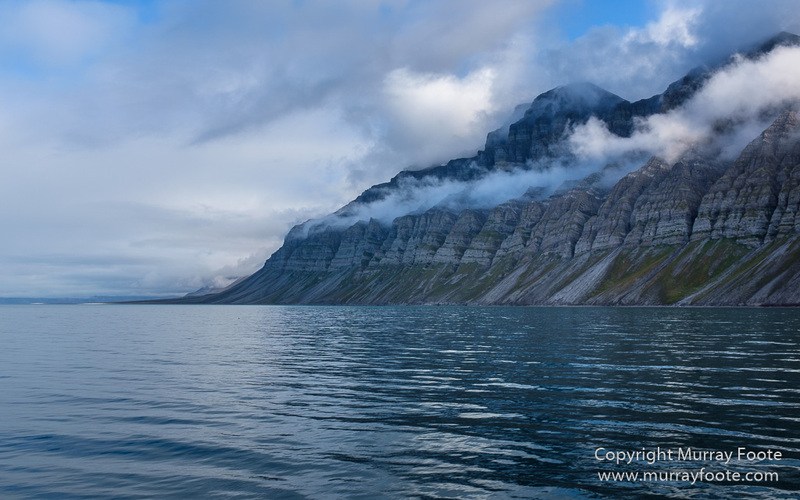 We went past at least one island and a number of spectacular cliffs. 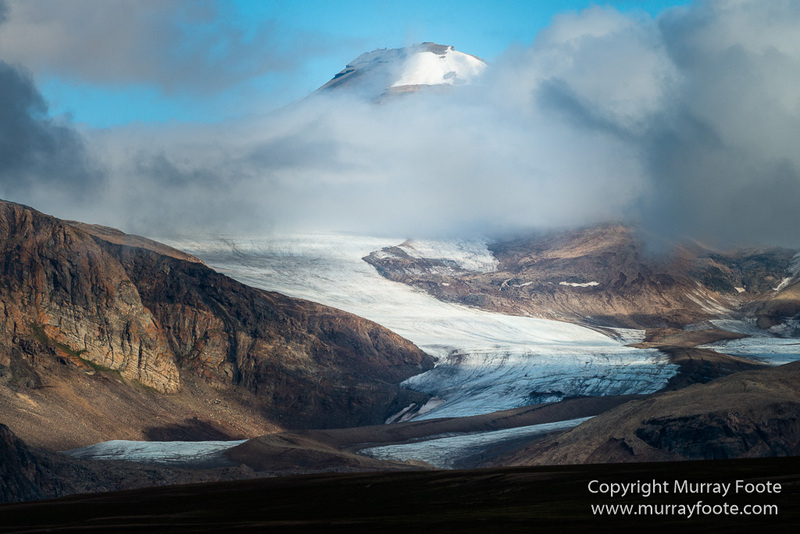 The glacier is now visible in the distance. There’s lots of curious detail here that you will only partly see even if you click on it for a larger view. There are three mysterious round shapes on the hillside. Below them are two small shacks, huts or hides. The right-hand one has a structure beside it like a playground swing without the swing. On the shoreline from left to right there is a tall tower with a metal cylinder at the top. Then there is what looks like a supply dump of multi-coloured objects. Next there is a rectangular white tent with what looks like many large plastic storage containers behind it. At the far right there is the small neat hut with an external toilet behind it to the right. There is also a blue cord, perhaps a power line that comes in over a pole to the roof level of the hut. If that is the direction, it starts at the left shack on the slope, goes through the other one and zigzags down the slope. If it’s an electrical cord for a generator that goes to the hut, it must be well over 100 metres away which seems like a long way away to put it, though I suppose sound travels all too well in the still Arctic night. I presume there is some kind of scientific study going on here. This panorama and the next one down expand to a particularly large size if you click on them. The immensity of it all is hard to capture in a photograph. 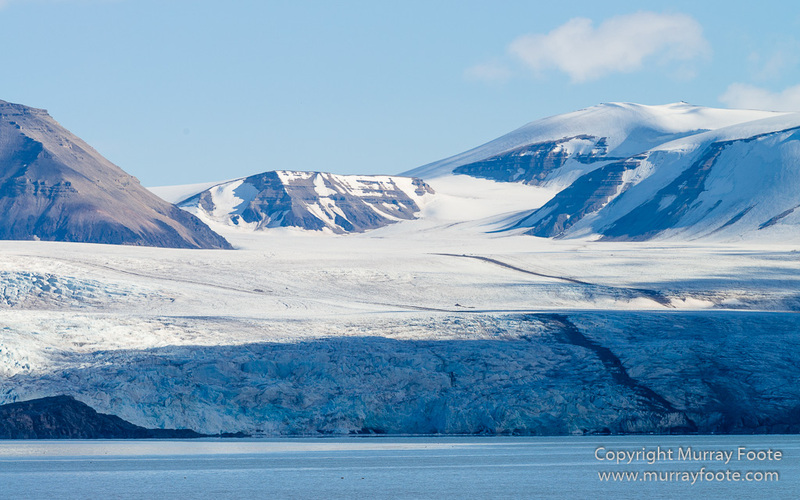 This entry was posted in Spitsbergen and tagged History, Landscape, Longyearbyen, Nordenskiöld Glacier, Photography, seascape, Spitsbergen, Travel. None available there. 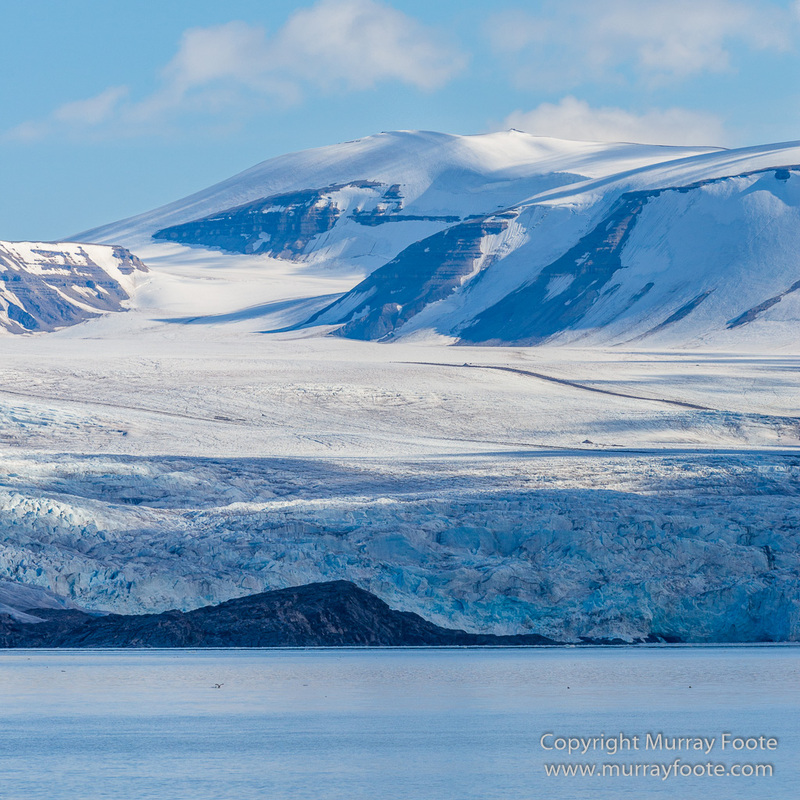 I do have some glacier images coming up on the Spitsbergen coast with ships, yachts and zodiacs. I can get the feel for the immensity. 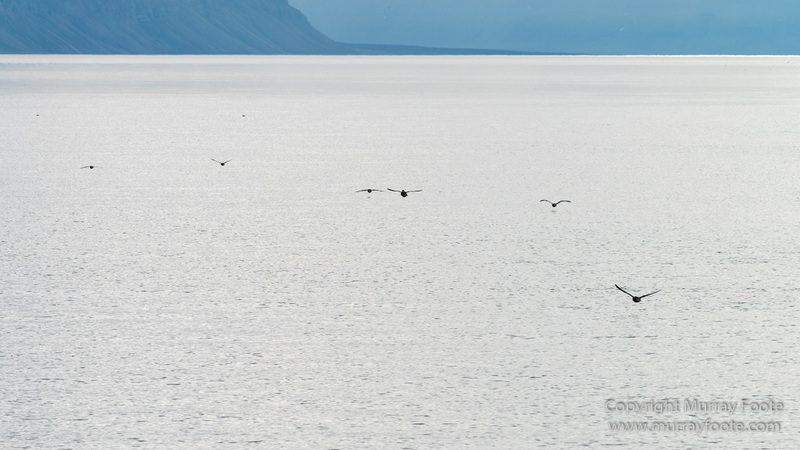 I particularly liked the sixth shot after the map – the one with the serendipitous bird. I must have missed this comment. Yes, a place of awesome immensity. 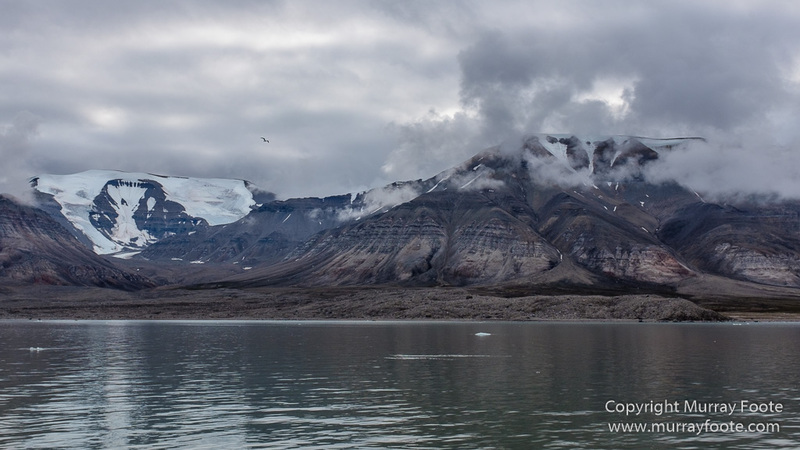 Indeed Spitzbergen is on our secret bucket list. The one on our blog is really touristy. And yes we too knew that it has to be an escorted thing on this island. There was a documentary we watched where camping in the hillsides, one has to set line traps that alarm you of a bear’s approach. Going on an overland expedition by skidoo or dog sled must be amazing. I only went by boat. 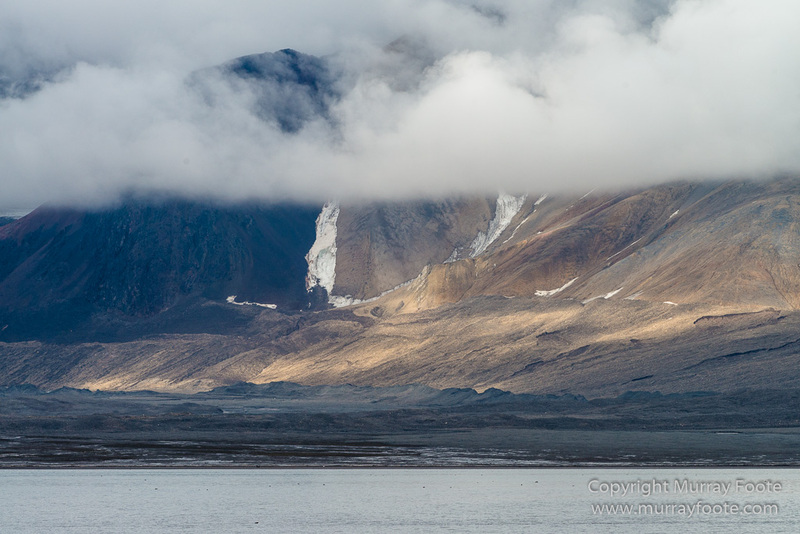 Spitsbergen in general is incredibly spectacular. It’s not the sort of place you can go wandering round out of town by yourself though. I don’t know, really. 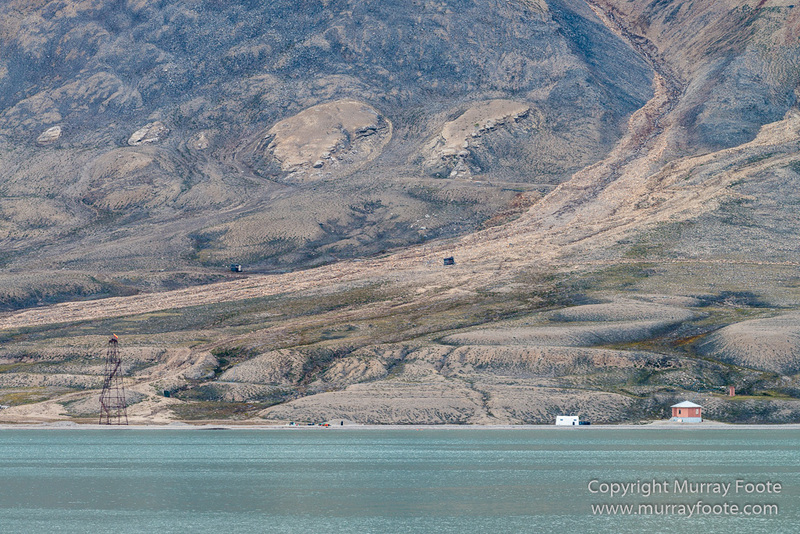 There’s the day trip to Pyramiden I took. 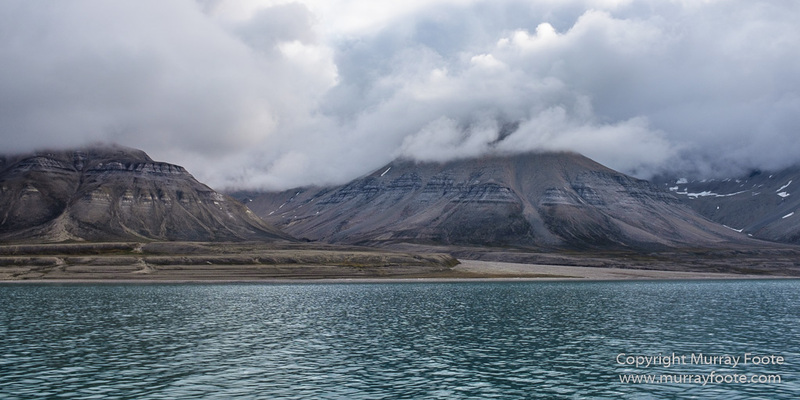 Otherwise you need to subscribe to some kind of tour by dog sleds or skidoos because venturing at all out of Longyearbyen requires qualified people with rifles and other precautions against polar bears. There should be one or two companies you can find on the net. I didn’t investigate that due partly to lack of time.